Are you a small business looking to improve your printing capability? The VersaLink letter and tabloid business printers and MFPs represent a quantum leap forward in workplace productivity. They are designed to transform the way we work today, safely and securely. 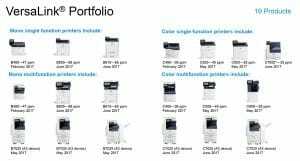 The new Xerox VersaLink range of color and mono A4 multi-function printers (MFPs) and single function printers have fast, super reliable print engines that can grow and adapt as your needs evolve. 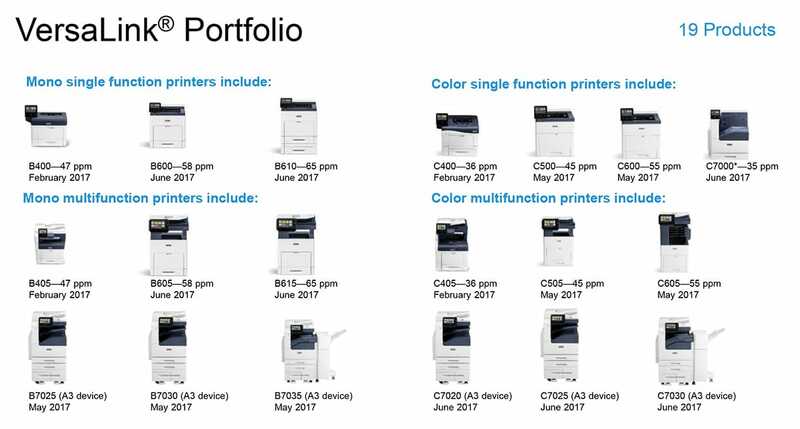 This range of copier devices are easy to use, easy to own, future proof and value packed. This means less downtime for issues and less IT support required. A simple installation process helps you get the copier you choose up and running in no time at all. You can be sure that your new Xerox VersaLink MFP or printer can get straight to work right out of the box. If your business is Eco friendly you can also keep costs down by taking advantage of Xerox’s environmentally friendly features, such as duplexing and/or choosing its Earth Smart settings as default for printing jobs.